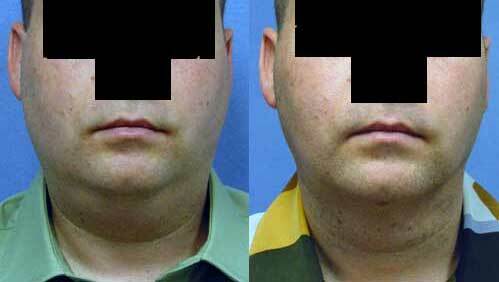 Liposuction liposculpture of the neck in Los Angeles by Aaron Stone MD can remove a double chin. This 36 year old, 6′ tall, 210 lb. 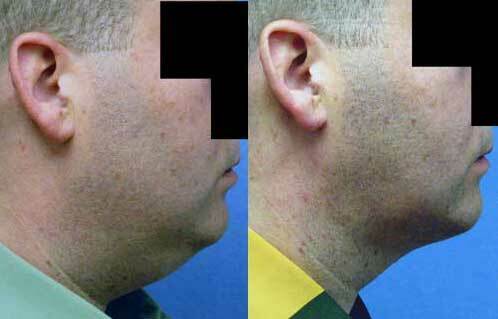 male patient is shown before and 3 weeks after liposuction of the neck and cheeks. 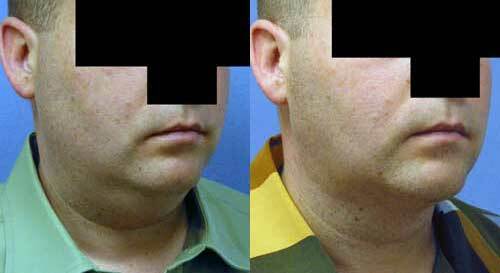 Chin Liposuction or neck liposuction surgery liposculpture can enhance your appearance and your self confidence. Realistic expectations are important to be happy with any surgery. As each patient is an individual, different results can be expected in each patient. The alternatives to neck liposuction are growing. We now have Coolsculpt to freeze fat away and Kybela to melt it away by injection. However they require multiple treatments over a number of weeks. Liposuction is a one time 15 or 20 minute procedure. As with any type of surgery there is the risk of infection or bleeding. Additionally with liposuction there is the risk of seroma fluid collections under the skin, bruising, uneven surface contour and unaesthetic result if the surgeon does not perform adequate suction along the lower edge of the jaw. These risks are small and less likely if you choose your surgeon wisely and follow the postoperative instructions. The benefits are a more youthful neck contour and feeling more comfortable in a shirt with a tie. The recovery is quick so if the procedure is done on a Friday the patient wears a compression garment at all times over the weekend and returns to work on Monday only wearing the garment when not out in public from that point for 3 to 4 weeks. Many people who are interested in Plastic Surgery decide not to seek treatment because of the prices associated with cosmetic plastic surgery. What they may not know is that financing plans can help manage the costs and bring cosmetic surgery within the reach of nearly every budget.Many patients choose their cosmetic surgeon based on prices for plastic surgery rather than credentials. It is important to thoroughly research your doctor to ensure that he or she has the requisite training, experience, and facility. Making sure you get the results you desire the first time around could mean lower cosmetic surgery costs in the long run. Choosing an inexperienced surgeon could jeopardize your safety and result in health problems or the need for follow-up surgeries.Dr. Stone offers patients a range of payment options to help cover plastic surgery costs, including cash, check, and credit cards. In addition, he offers plastic surgery financing plans to help patients set up an affordable payment schedule by breaking up the costs of Plastic Surgery treatment into affordable monthly payments through You can finance 100% of your cosmetic surgery and select the plan that works best for your budget. There are no upfront costs, no annual fees, and no pre-payment penalties. So, you can schedule your procedure today and conveniently pay with low, monthly payments. Many of Dr. Stone’s patients use the financing option and their is no stigma attached to doing so. Everyone is treated equally regardless of whether their procedure is paid by financing, up front cash or credit card. We encourage all prospective patients to feel free to discuss financing options during their office consultation.